Our columnist Jason Goodwin tells a tale of clapped-out cars, ancient vans and a Czech shoe magnate who turned the lift into his office. It’s said that you should try to have the best house you can afford and the cheapest car. If a car will go from A to B and has a working radio and fog lights, I can master the mild inconvenience of a broken fan belt here, a clapped-out starter motor there, or a night-time relay from Basingstoke to Bridport. Our first car was a Triumph Herald, passed down from Kate’s granny when she gave up driving. It didn’t have a radio, but Triumph specialists said Heralds sometimes left their back wheels standing on the road behind them because their acceleration was so good. It was almost light enough to lift, but it had very thin wheels with a nasty habit of slipping into the ruts left by lorries on tarmac. The Triumph was at its most dangerous across Salisbury Plain, where it would follow invisible tank tracks and then try to swerve violently off the road whenever we passed a tank-training area. I miss it, the ex-Post Office van that followed it and the Transit minibus. But, then, a few years ago, I started noticing more and more taxi drivers tootling around in Skodas. They come from what Neville Chamberlain called a faraway country of which we know little, which has since become two faraway countries, splitting into Slovakia and the Czech Republic with a commendable lack of fuss or brinkmanship. Skodas are made in the Czech Republic, and the Czechs have long been good at the sort of things that the Germans are good at, too, like optical instruments and precision engineering. Bata, makers of the world’s first mass-produced shoes, are also Czech. In the 1930s, Mr Bata’s office block in Zlín was one of the tallest in Europe and his employees would come to find him every day in his office to discuss problems. 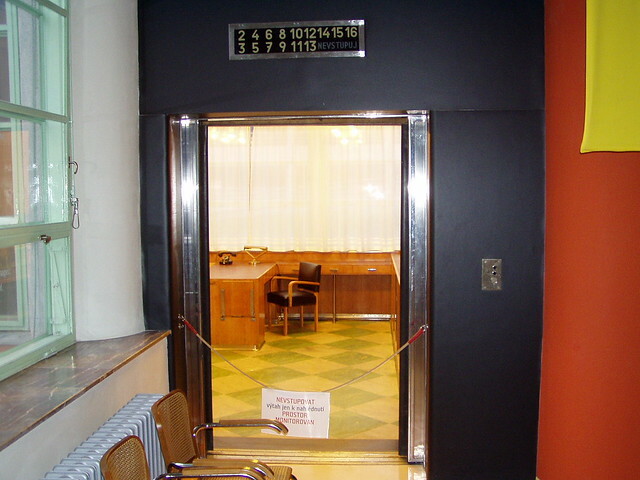 Mr Bata was keen to discuss problems, but he disliked his employees wasting time, so he had his office moved and reassembled in one of the lifts. Employees only had to summon the lift and Mr Bata would appear, sitting at his desk, barking solutions. Very go-ahead. When Izzy started casting about for a car, I suggested a Skoda, mainly thanks to Mr Bata and the example of the taxi drivers. He found one for £750 online and courageously cycled to the station, took a train, cycled to the dealer’s garage and came back driving the family’s first Skoda. It had done 180,000 miles and is a fetching colour called Admiral Blue, which is odd when you consider that the Czechs don’t have a navy. With the seats down, it can carry a double mattress in the back. Not long after, our van died. It had amiably ferried us around for years, carrying a family with dogs and luggage for 160,000 miles, to the Outer Hebrides and the southern slopes of the Pyrenees. We mourned its decline, sold it for scrap and started the grim search for a car. Izzy identified another Skoda, also an Octavia estate, being sold in Bournemouth, and we went along to kick the tyres. It was much newer than his and more expensive, but the Romanians selling it insisted that it was worth the money so we bought it and drove it home.